Which Sci-Fi Actor And His Best Known Character Shared The Same Middle Name? The Densest Naturally Occurring Element Is? 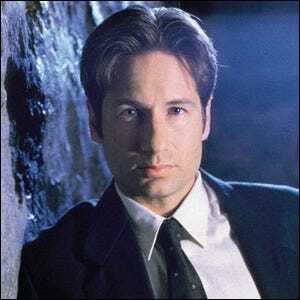 Throughout the 1990s David Duchovny played the role of the eccentric and truth-seeking FBI agent Fox Mulder. Although Mulder’s nick name within the Bureau is repeated so often throughout the show, Fox “Spooky” Mulder, that you could easily mistake that as his middle name, both Duchovny the actor and Mulder the character share the same middle name: William. In addition to that bit of naming trivia, the name William makes another important appearance in the cast list for the show. The series’ iconic character The Smoking Man was played by William B. Davis.